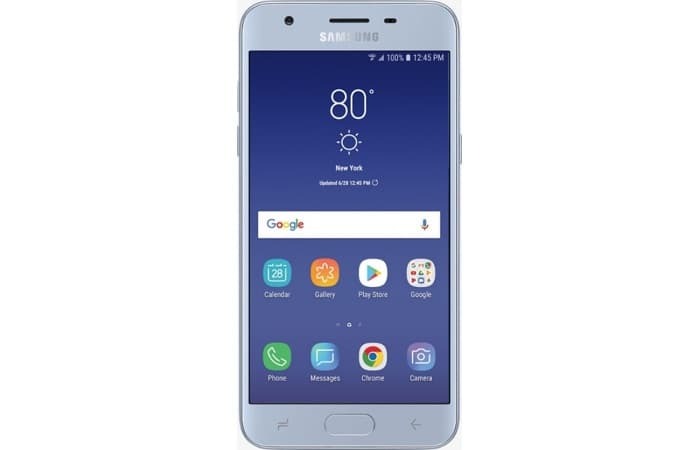 Samsung has launches a new smartphone on Verizon Wireless, the Samsung Galaxy J3 V. The handset comes with a number of upgrades over the previous device. The new Samsung Galaxy J3 V is equipped with a 5 inch display which features a HD resolution of 1280 x 720 pixels. The handset comes with an octa core Samsung Exynos 7884A processor and it also comes with 2GB of RAM and 16GB of built in storage. The device also features a 2600 mAh battery and front and rear cameras. The cameras on new Samsung Galaxy J3 V include a 5 megapixel facing camera and an 8 megapixel rear camera. The handset is now available in Verizon Wireless for $168 or for $7 a month, you can find out more details over at Verizon at the link below.